My interest in the health benefits of the natural environment comes from my own experience spending time in nature. I’ve solved more work problems while out on the trails than banging my head against my office wall. Although many of us have an intuitive understanding of the value of nature, several methodological issues make quantifying the public-health benefits of the natural environment tricky. In particular, you typically need to know a person’s residential address to estimate their exposure to the natural environment. Unfortunately, getting access to address data can be difficult, and those studies that do get access often only have a person’s current address, so researchers are limited to cross-sectional studies. This is a problem, because some of the health benefits of the natural environment may not manifest at the time of exposure, and a person’s response to the natural environment may change across their life course. The answer to these data challenges came through a serendipitous series of connections. A colleague at Drexel University introduced me to Jeroen Douwes, who is the director of the Center for Public Health Research at Massey University in New Zealand. His research group had just begun to work with the Integrated Data Infrastructure (IDI), which is a large individual-level database covering most New Zealand residents that is administered by Statistics New Zealand. The IDI sounded like a unique opportunity to longitudinally study the relationship between the natural environment and health, so I arranged to spend 2017 on sabbatical in New Zealand. The IDI consists of datasets describing health, education and benefits, criminal justice, population, income and work, and housing linked by a common ID. Therefore, we were able identify all children born in New Zealand in 1998 and link to their residential history, health and pharmaceutical records, educational attainment, and their parents’ census data. Working with such a rich data source has its challenges. You have to work in a secure data lab in New Zealand, which makes collaboration a little difficult. In addition, you need to be able to program in SQL and one of the major statistical packages (SAS, Stata, or R). The idiosyncrasies of the data can be perplexing to the newcomer, but the Statistics New Zealand staff are extremely helpful. 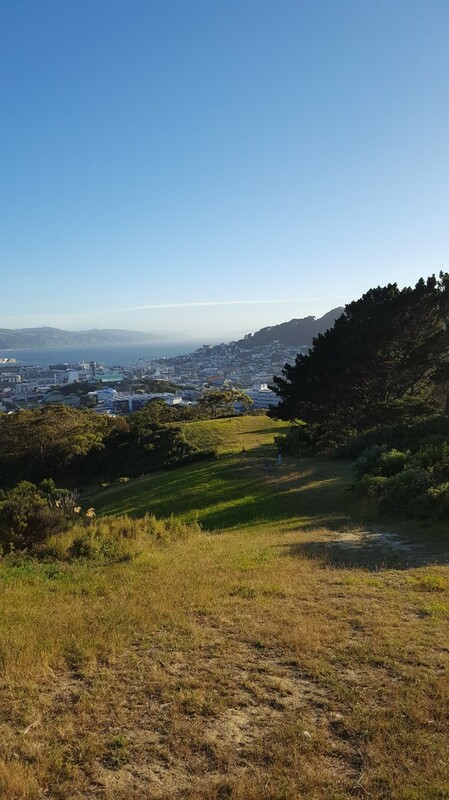 Wellington is a beautiful city with lot of greenspace, so it offered plenty of opportunities to think outside including on my walk to work (see following picture). We found that biodiverse natural landscapes are protective of asthma, and we hypothesized that this protective effect is because biodiverse landscapes increase microbial exposure, which promotes healthy immune function. If we’re right, then biodiverse landscapes may protect against a range of diseases that have an immune component such as childhood leukemia, multiple sclerosis, and rheumatoid arthritis. How much biodiversity is needed—and from which plants—remains an open question, but our research suggests that the loss of biodiversity globally is more than an ecological problem; it may also pose a significant threat to public health. Mount Victoria in Wellington, New Zealand close to where the Road to Bree scene from Lord of the Rings was filmed. We found that living around gorse was a risk factor for asthma. 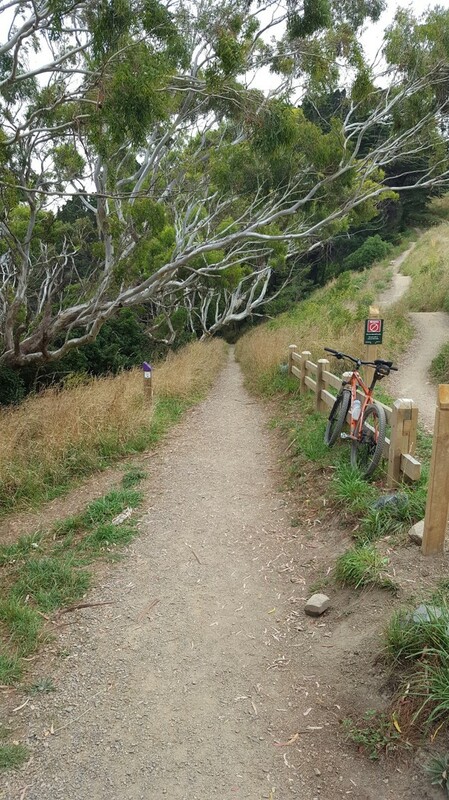 In an ironic parallel, I spent a significant amount of time lying in gorse bushes while out mountain biking in Wellington. Although this gave me no insight into the impact of gorse on asthma, I certainly learned that gorse is a risk factor for unpleasant lacerations.